MATT GUMLEY AND HIS BAND WILL PLAY A SHOW AT PIANOS IN NYC ON APRIL 6th, 2019! Upcoming Gig at The Delancey! 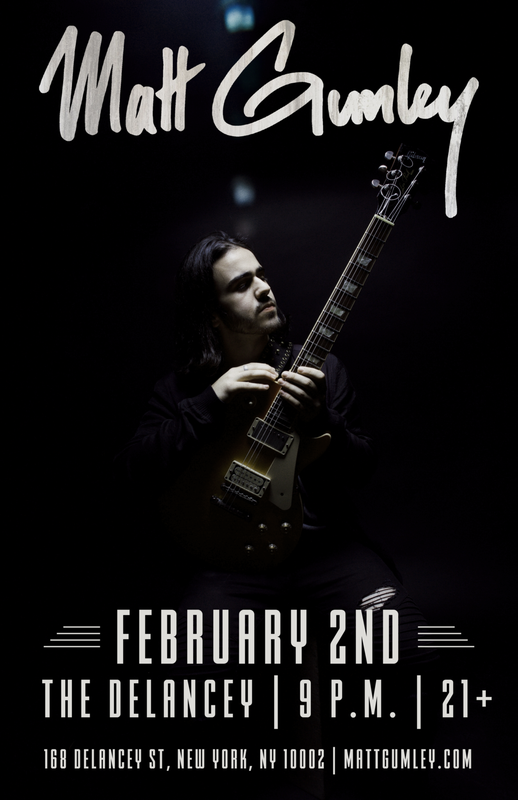 MATT GUMLEY AND HIS BAND WILL PLAY A 45 MIN SHOW AT THE DELANCEY in nyc ON SATURDAY, FEBRUARY 2nd, 2019! MATT GUMLEY AND HIS BAND PLAY A GIG AT THE BITTER END, PROMOTING NEW MATERIAL ON FEBRUARY 11th, 2018! MATT GUMLEY AND HIS BAND PLAY A RELEASE SHOW FOR THE “YOU CAN TRY” SINGLE/MUSIC VIDEO AT THE BITTER END ON OCTOBER 22nd, 2017! Music video for his single "You Can Try" released October 22nd, 2017! Matt Gumley releases the follow-up single to his previous EP with "You Can Try", available to stream everywhere October 13th, 2017! Music video for the song "Make You Mine" off of the EP "Six Degrees of Separation" released September 22nd, 2016! Music video for the song "Fallout" off of the EP "Six Degrees of Separation" released July 28th, 2016! Matt Gumley and his band perform a private release show on June 30th, 2016 in Midtown Manhattan, NYC for the release of his EP! Matt Gumley releases his debut EP, "Six Degrees of Separation", on all streaming platforms July 11th, 2016! Music video for the single "Subway Rider" released June 14th, 2016! 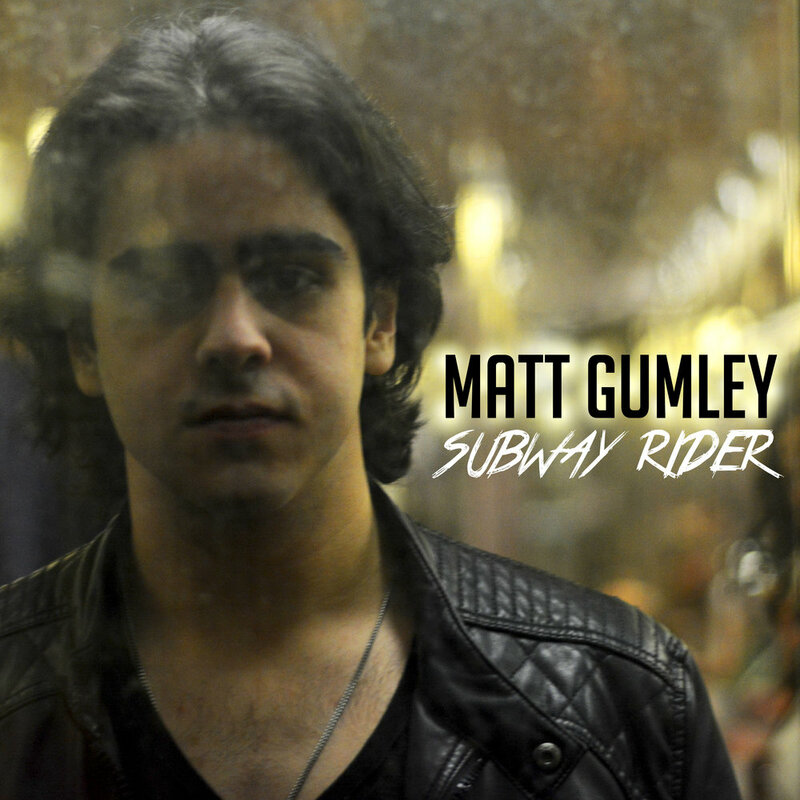 Matt Gumley releases his debut single, "Subway Rider", on all streaming platforms May 22nd, 2016! YoungArts aspires to create a community of alumni that provides a lifetime of encouragement, opportunity and support. The National YoungArts Foundation (YoungArts) was established in 1981 by Lin and Ted Arison. YoungArts provides emerging artists with life-changing experiences and validation by renowned mentors, access to significant scholarships, national recognition, and other opportunities throughout their careers. YoungArts serves as the exclusive nominating agency for the U.S. Presidential Scholars in the Arts, the country's highest honor for young artists. Presidential Scholars in the Arts receive a Presidential Medal at the White House and perform at the Kennedy Center and exhibit at the Smithsonian. YoungArts alumni who have become leading professionals in their fields include actors Vanessa Williams, Viola Davis, Kerry Washington, and Adrian Grenier; Chief Executive Officer of American Ballet Theatre Rachel Moore; recording artists Nicki Minaj and Chris Young; Metropolitan Opera star Eric Owens; musicians Terence Blanchard and Jennifer Koh; choreographer Desmond Richardson; visual artist Hernan Bas; and internationally acclaimed multimedia artist Doug Aitken. Each year, we receive thousands of applications to YoungArts from 15-18 year old (or grades 10-12) artists, and from these, approximately 800 winners are selected.